It was a historic occasion as international cricket returned to Lucknow after a long gap. But one thing that remained constant was Rohit Sharma’s blistering form. Though he missed out in Eden Gardens, Rohit was at his attacking best today and scored a match winning 111 not out. Shikhar Dhawan gave great support during the opening stand, though the slowness of his innings was a major reason India didn’t reach 200. The Windies bowlers looked out of sorts on a slow and sluggish wicket which was difficult to bat on. There was hardly any innovation seen as the visitors just tried to bowl wide outside off. Their batting failed again too, and the magic of Kuldeep Yadav again ran through the middle order after Khaleel Ahmed gave some initial breakthroughs. Shai Hope, Shimron Hetmyer, and Kieron Pollard were big failures as they never really got going while chasing the score of 196. Eventually, India won by 71 runs. Rohit Sharma became the batsman with the highest number of centuries in the T20I format by scoring his fourth ton today. He took the initiative in guiding the Indian innings and ensured that he remained unbeaten till the end. Rohit is now just behind Martin Guptill in the list of most runs scored in the T20 international format. Playing his 86th T20I, Rohit surpassed Kohli's India record of 2,102 runs by hitting a six over long off. Rohit had scored 389 runs in the recently concluded ODI series against Windies, and he has carried that form into the T20 format too. 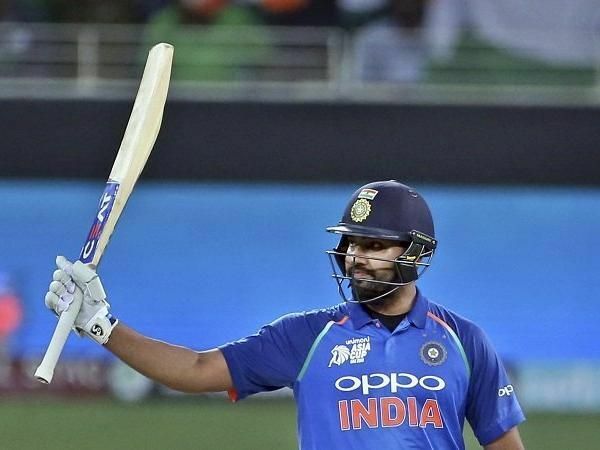 Indian fans would want Rohit to continue firing on all cylinders as the opening batsman’s form could make India a strong contender in the 2019 World Cup. Roit hit 7 big sixes in the new stadium during his innings. Kuldeep is slowly but surely becoming the best wrist spinner in world cricket when it comes to the short formats of the game. His mystery continued to trouble the Windies batsmen as he got rid of Darren Bravo and Nicholas Pooran in a span of two overs. The batsmen couldn't anticipate the trajectory of his deliveries and Kuldeep finished off his four over spell in quick time. The bigger boundaries surely helped too, but Kuldeep has taken over from Yuzvendra Chahal to become the first option for any Indian skipper - whether it be Kohli or Rohit. Krunal Pandya was playing just his second T20 international and so it became even more important for Kuldeep to take the leadership role. He did that brilliantly, and showed the selectors that he can be the trump card come the 2019 World Cup. Thomas has been the single ray of hope for Windies cricket in this T20 series so far. If the experts are to be believed, he has a great future assuming he stays fit and bowls as fast as he is doing currently. Thomas had troubled the Indian top order in the helpful conditions of Kolkata and got rid of both Rohit and Dhawan in quick succession. Here the case was different as he was bowling on a slow track. But he still contained the batsmen pretty well and gave literally no loose balls to hit, even to the in-form Rohit. Though Windies went for 195 runs, Thomas only conceded 27 in his quota of 4 overs.